Today the U.S. Senate considered three separate proposals for fixing the DACA crisis President Trump created last September. Each of these proposals failed. They failed because of the toxic environment President Trump and his nativist allies have created around immigration. They failed because there never was going to be, never could be, and never should be a bill that bridges the gap between the basic dignity of the Dreamers and immigrants, and those nativists and xenophobes who deny their humanity and seek to exclude non-whites from this country. Such a bill, no matter how good the faith of those behind it, would result in tradeoffs that are fundamentally erode American values and American communities. Today’s votes represent, undoubtedly, a major failure of President Trump’s anti-Latino, xenophobic agenda. He must own this. He created this artificial DACA crisis, and he must take responsibility to solve it. Even before today’s votes, we knew this discussion was a waste of time for Dreamers, Americans, and border communities. We knew this because this debate did not actually deal with the reality of a broken legal immigration system, or the more than 11 million unauthorized immigrants living and working and contributing in our communities. 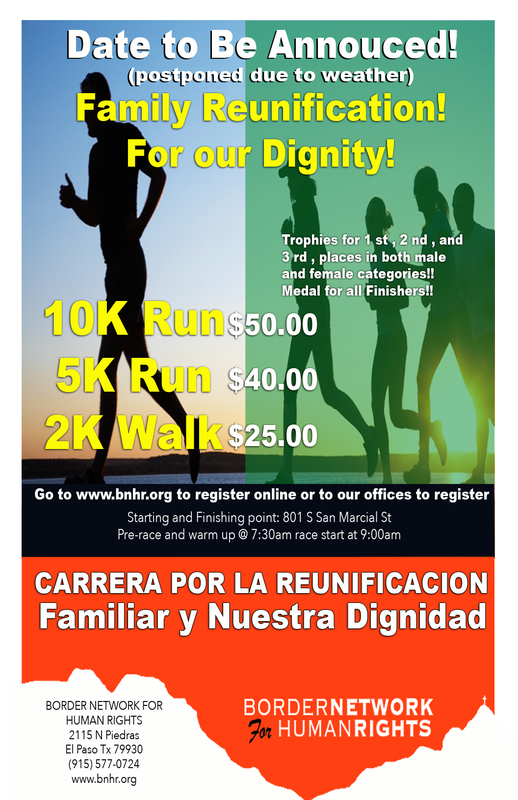 BNHR is more committed that ever to keep fighting for a broad, humane, and comprehensive solution that includes all immigrant families without sacrificing the rights of border residents or anyone else. Instead, today’s votes tied a DACA fix to border enforcement and immigration restrictions measures that were all about leveraging Trump’s DACA crisis to extract a nativist’s ransom. These were votes to trade the continued wellbeing of the dreamers for the criminalization and deportation of their parents, the construction of a border wall symbolizing hate, and legal immigration changes rooted in exclusion, rather than welcoming. Dreamers, in the borderlands and across the country, consistently reject these tradeoffs. But these were the false choices President Trump and his nativist stooges insisted upon. Today’s context was too toxic to produce policy that would have been good for Dreamers, good for border residents, or good for America. Instead of aiming to advance American wellbeing, prosperity, security, or justice, President Trump pushed an agenda opposing diversity and inclusion. The effect was corrosive. Even those with good intentions acting in good faith ended up compromised trying to negotiate with the President’s position. This was how we saw bipartisan agreements to trade Dreamers for a border wall or for the deportation of their parents. Not because these were good agreements—they were and are not—but because the President’s hate so clouded one’s perspective as to obscure our country’s most fundamental principles. In light of today’s votes, we must continue investing in community education to ensure every person knows their dignity, their civil and human rights. We must organize communities so people know they are not alone in this struggle, but stand together in strength with their neighbors demanding change that improves our quality of life. And, when the opportunity allows, we must stand ready to do right by the Dreamers, do right by their parents and all immigrants, and do right by our border communities toward building a more inclusive America.